The Curtin University Technology, Science and Engineering (CUTSE) Conference is organised annually by departments within the School of Engineering and Science at Curtin Sarawak in collaboration with the Institution of Engineers, Malaysia (IEM) Miri Branch. The IEM Miri Branch has jointly organized previous CUTSE conferences, together with the organizing department since 2006, and the partnership has been fruitful. 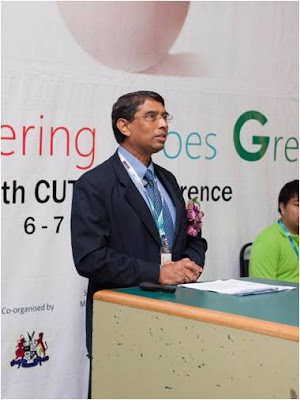 CUTSE conferences provide a platform for engineers and scientists from Malaysia and around the world to share and disseminate the latest innovations and developments in engineering and science, as well as initiate collaboration in their respective fields. Previous CUTSE conferences have also witnessed significant participation from IEM members, in particular those from IEM Miri Branch. 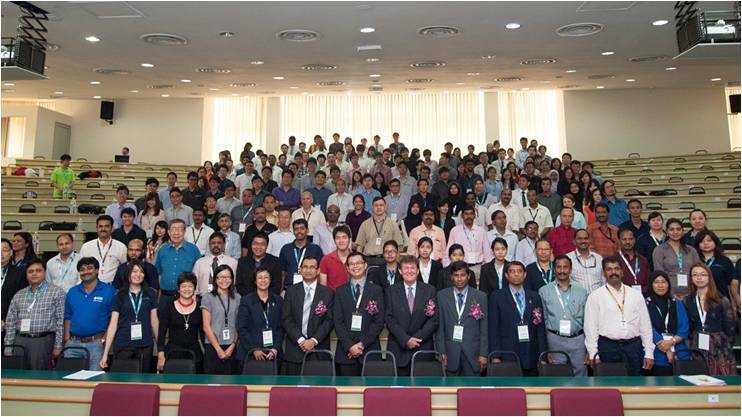 The just-concluded 7th CUTSE Conference held at Curtin University, Sarawak Malaysia (Curtin Sarawak) from 6 to 7 November 2012 was a great success considering the number of participants it attracted and number of research papers presented. Some 50 researchers, engineers, scientists, academicians, industry professionals and students from 10 countries attended the conference, and a total of 73 papers were received from researchers from 10 different countries. 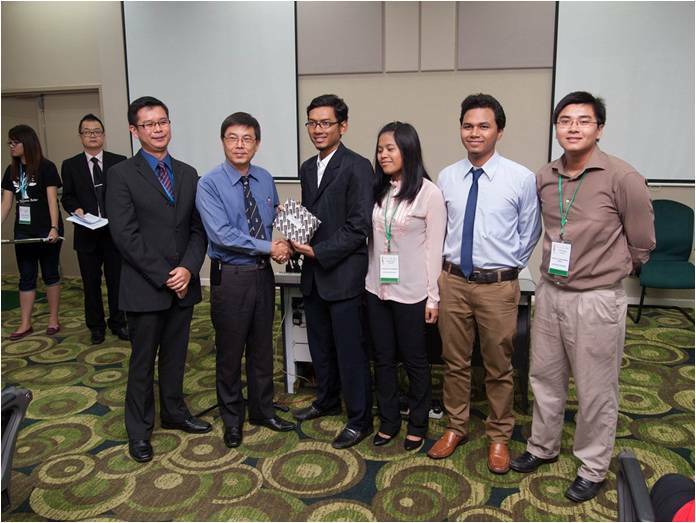 In addition, 88 papers were also presented by Curtin Sarawak’s final-year engineering students across its Civil and Construction Engineering, Chemical Engineering, Mechanical Engineering, Electrical and Computer Engineering, and Geology departments. The conference was sponsored by the Ministry of Energy, Green Technology and Water, Malaysia (KeTTHA); JX Nippon Oil & Gas Exploration (Malaysia) Limited; Bintulu Development Authority; Shin Yang Sdn. Bhd. and the Miri City Council. In recent years, CUTSE’s focus has been on finding eco-friendly and sustainable solutions to problems across all areas, and this year’s conference theme was ‘Engineering Goes Green’. 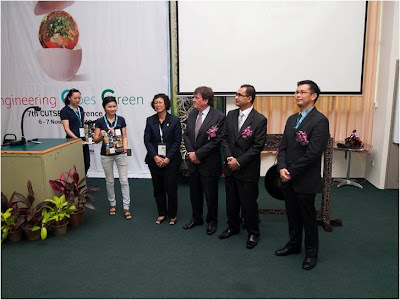 In his speech to the participants, Pro Vice-Chancellor of Curtin Sarawak Professor Ian Kerr said the conference and its green theme should encourage participants to not only examine the tremendous strides made in technology and the sciences, but also inspire them to gear their research and development increasingly towards achieving a more sustainable development globally. Federal Minister of Energy, Green Technology & Water Dato’ Seri Peter Chin Fah Kui, in his address delivered by the ministry’s Undersecretary for Development and Regulatory, Green Technology Sector, Asdirhyme Abdul Rasid, said the annual conference is very much in line with his ministry’s initiatives to promote sustainable development and practices. 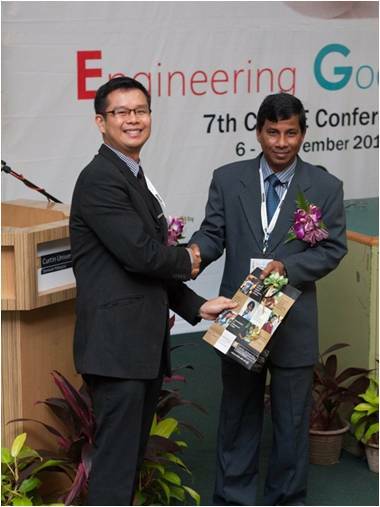 He commended Curtin Sarawak for its teaching and research that set young engineers on the right path towards promoting sustainable development, sustainable development being one of the core subjects across all its engineering disciplines. One of CUTSE 2012’s Keynote Speakers, Datuk Ir. Abdul Kadir Mohd. Din, Chief Executive Officer of Indah Water KonsortiumSdn. Bhd.